Released on: June 25th, 2018. 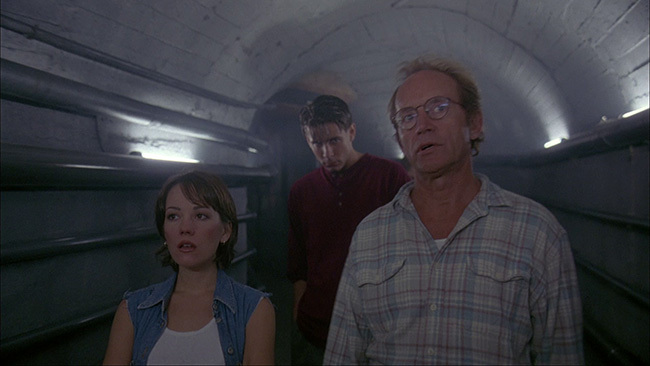 Originally intended to be the third film in the two film The Hills Have Eyes franchise, Joe Gayton’s 1995 film Mind Ripper (which was produced by Wes Craven) takes us out into the middle of the desolate Mojave Desert where a scientist named Stockton (Lance Henriksen) has developed a virus capable of regeneration human cells. He and his team - Alex (John Diehl), Joanne (Claire Stansfield), Rob (Gregory Sporleder), Frank (Peter Shepherd) and Larry (John Apicella) – decide that they’re going to use a hiker dubbed Thor (Dan Blom), who they found injured near their compound, to experiment on. No one will miss him and being able to experiment on an actual more-or-less living human being will be a huge boon to their work. 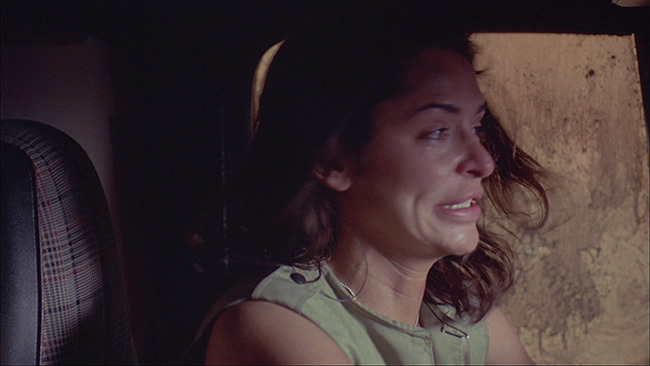 Mind Ripper doesn’t have much to do with the other two The Hills Have Eyes movies aside from a neat desert setting, so it would have been a sequel in name only, really, but fans of nineties-era straight to video b-horror pictures could do a lot worse than Mind Ripper. They could also do a lot better. The film isn’t terrible, but neither is it all that compelling. 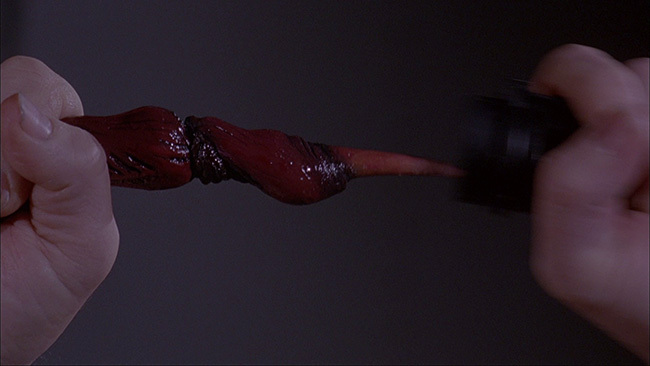 There’s some neat practical effects work on display in the last half of the film but the story by Jonathan Craven is reasonably predictable and the pacing from director Joe Gayton less than stellar. 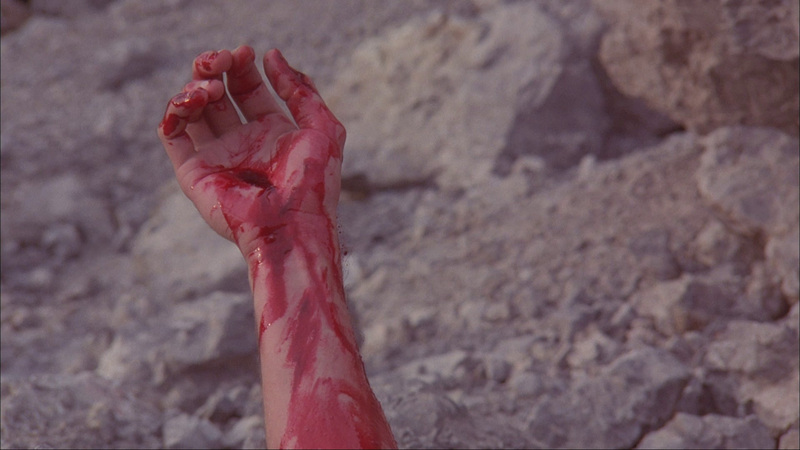 Still, the desert location gives the movie some welcome atmosphere and provides a scenic backdrop for all of this to play off of. As to the cast? 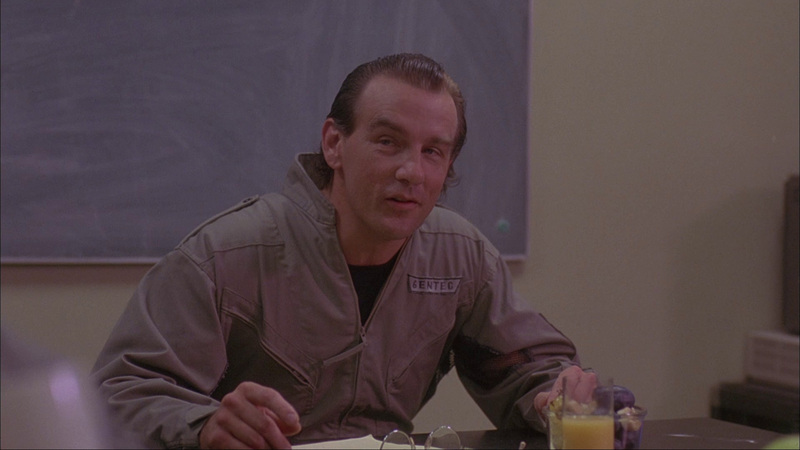 Well, it’s amusing to see John Diehl and a young Giovanni Ribisi pop up here but the one that stands out the most is, probably not to anyone’s surprise, Lance Henriksen. He isn’t really stretching much as an actor here but his screen presence is, as always, an important part of what he’s able to bring to the picture and he’s fun to watch in his role. 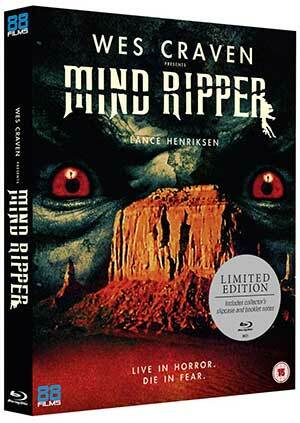 Mind Ripper arrives on Blu-ray framed at 1.78.1 widescreen in an AVC encoded 1080p high definition presentation. Transferred from the original negative according to the packaging, the image here is fine, if not mind-blowing. It’s soft in spots, likely due to how it was shot and lit, but detail handily advances over what DVD could have provided. Color reproduction looks good, never oversaturated or artificially boosted, while skin tones look lifelike and natural. There’s little in the way of print damage aside from some small white specks now and again. Black levels are solid and there are no noticeable issues with compression artifacts, edge enhancement or noise reduction issues. The English language DTS-HD 2.0 Master Audio track is fine. Optional subtitles are provided in English only. No issues here. The dialogue is easy to understand and the levels are well-balanced. 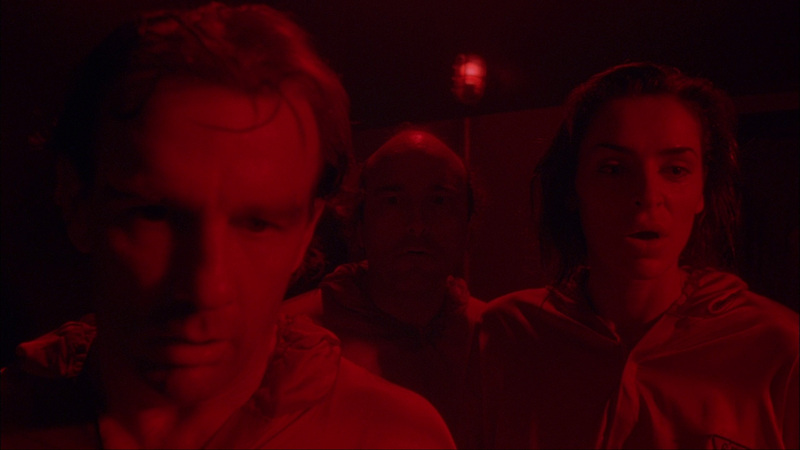 The track is free of any hiss or distortion and the synth-score, as goofy as it is, sounds decent enough. The biggest extra on the disc is the thirty-nine-minute featurette Stories From The Outpost, which is an exclusive interview with producer/writer, Jonathan Craven. 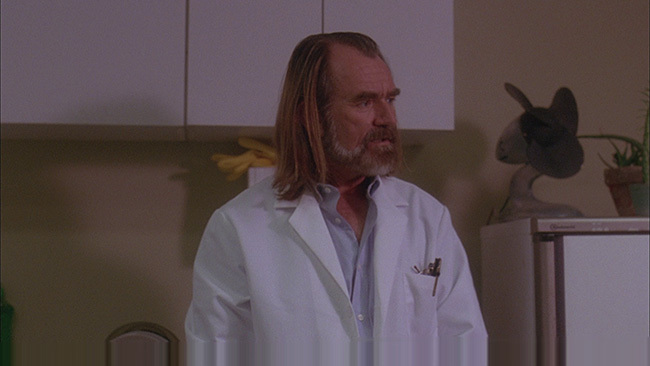 He talks about getting his start in the business, getting to work on Nightmare Café after his father successfully brought MGM onboard to produce, and how he came to write and produce Mind Ripper and how it started out as a third The Hills Have Eyes film before kind of shuffling off into its own territory. It’s a good piece and it delivers some welcome background information on the film. Outside of that the disc also includes the film’s original trailer, menus and chapter selection. It comes packaged with some nice reversible cover art and, if you order direct from 88 Films, a nice slipcover as well. The US release from Code Red had only a trailer on it, so this UK release gets some bonus points for including the interview piece. 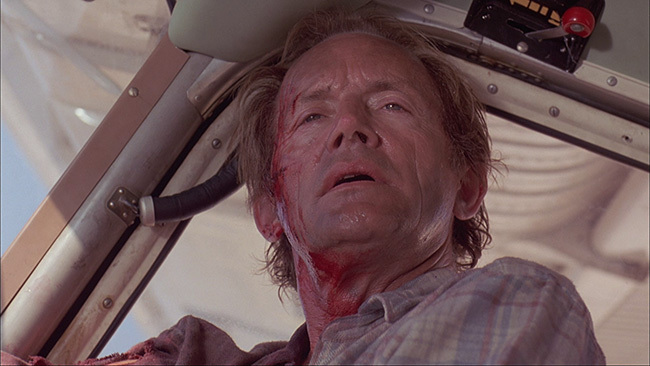 Mind Ripper is pretty middle of the road stuff but it has its moments and those of us who find Lance Henriksen eminently watchable in everything he does can appreciate this picture for giving him a sizeable role despite the movie’s many and obvious shortcomings. 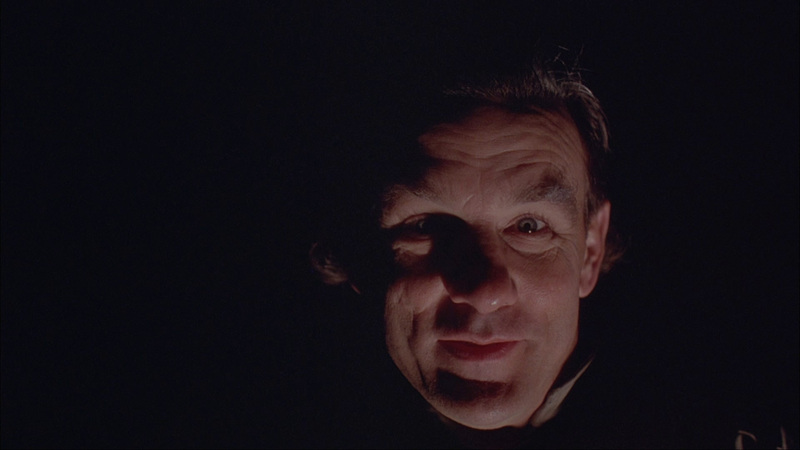 88 Films has given the picture a solid Blu-ray release and the interview with Craven adds some context and background information on the picture that fans should find quite interesting. 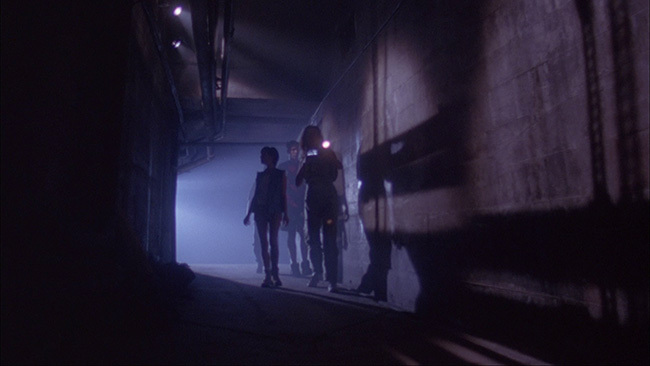 Click on the images below for full sized Mind Ripper Blu-ray screen caps!